5 July 2011: Last week I had the chance to spend some web time with Paul Sagar, Director of Product Management at PTC. Paul is in charge of PTC’s surfacing and industrial design (ID) products. Paul’s background is in industrial design (ID) and design engineering in the UK and has spent about 11 years at PTC. 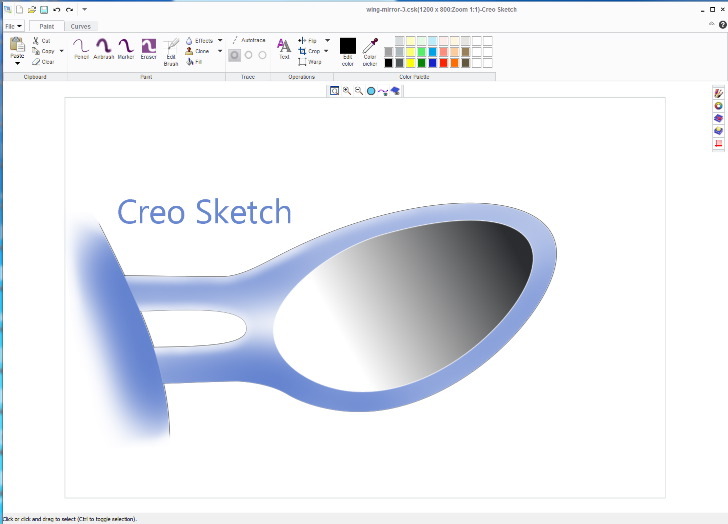 At PlanetPTC, Creo Freestyle was one of the many product announcements that struck me as fascinating. Just the idea of having incredible ID software as a freebie within Creo Parametric was one I wanted to explore further. After searching the PTC site for more detail with limited success, PTC’s VP and PR leader, Eric Snow, organized a web conference that “knocked my socks off!” You will see what I mean soon. “Freestyle is a new feature inside Creo Parametric that allows for rapid freeform surface creation. It is built upon the concept of subdivisional modeling. You are always working and manipulating the control mesh that surrounds the primitive. 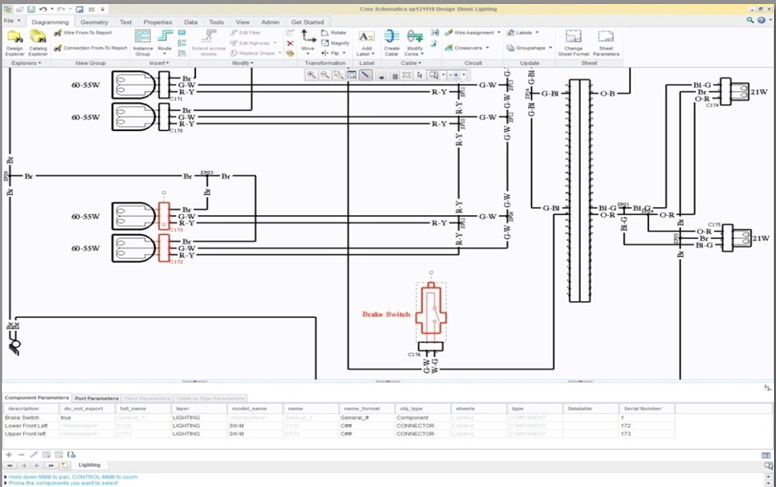 The control mesh can be subdivided up to add more detail or control. Adding more details allows for more control over the shape. What is sub divisional modeling? 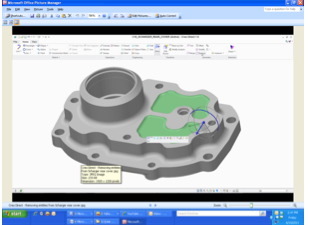 Paul explained that Freestyle is a new freeform surface modeling capability added into Creo Parametric. Called a super feature within the model tree, Freestyle appears as a single feature with the tree. It’s almost like a modeling environment within a feature. It’s a simple and easy tool use, and is designed to be intuitive, interactive and quick. Targeted to industrial designers who want a tool to conceptualize but are not interested in the methodology of building surfaces, which has traditionally been done by building curves and surfaces from those curves. Modifications are made to the surfaces by going back and manipulating the curves. Instead Freestyle is designed to just deal directly with the shape. Thus users can concentrate on the form rather than what’s behind the form. See the video of the bottle design that Paul downloaded. The resulting surfaces generated by Freestyle are of high quality. You can take them directly to manufacturing. They can be thickened and brought directly into Creo Parametric as solids. They can be acted on as a normal solid with all solid modeling features, for instance, by adding ribs and bosses and holes. It can be brought directly into machining. A design starts with a primitive. Each primitive comes with a control mesh. Each mesh has edges, vertices, and faces. You can push or pull on them, or you can subdivide it. For instance, you can chose and edge and “split this edge,” and Freestyle will add more controls on that edge. The more controls, the more flexibility to manipulate the surface. Each face of the control mesh corresponds to an actual patch in the resulting geom. that is created. Each patch is curvature continuous, resulting in a smooth model. Surfaces are G2 continuous, with some exceptions. In the movie file of the bottle design, you should be able to see the design being developed. Unfortunately there is no audio file describing the workflow, but I am sure our readers can follow the concepts of Freestyle from watching the movie. Note that the design starts by building a solid model from a scanned sketch. Trace Sketch allows importing the image and manipulates it, such as for fit or scaling, the objective being to use the image as an underlay for the design. 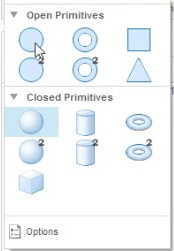 A sphere is used to start designing the solid model using Freestyle. Special features during the process such as “connect” joins two faces together for completing the handle. Other operations such as a crease can generate either a hard or soft edge. Also note that Creo does not capture the history of the Freestyle design; only as a single Freestyle feature. 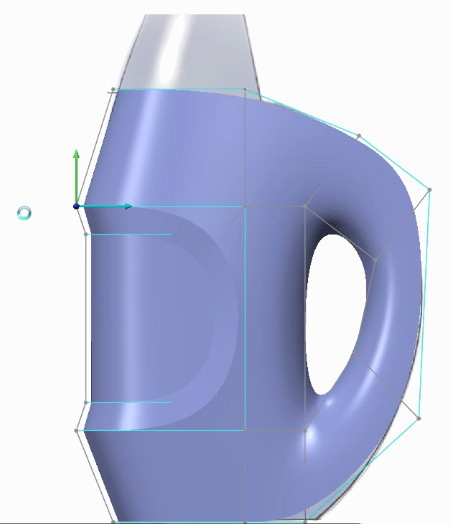 Other sub-divisional modelers like Maya and 3D Studio Max, use sub-divisional modeling, but none of these modelers create NURBS surfaces — Creo Freestyle does. It creates regular Creo Parametric surfaces. 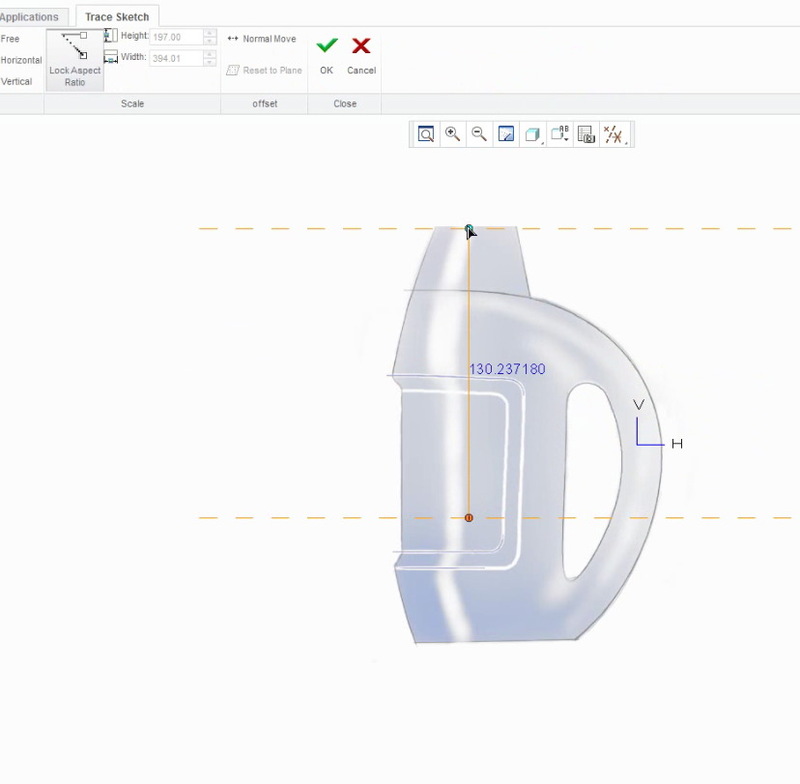 Similar capabilities to Freestyle exist in Rhino’s T-Spline models and CATIA’s Imagine and Shape. You can build geometry very quickly with Freestyle. It’s full integration with Creo Parametric integrates Freestyle design into the traditional design workflow. It has only a few commands and should be relatively quick to learn. The resulting geometry is of high quality and thus not throwaway work. 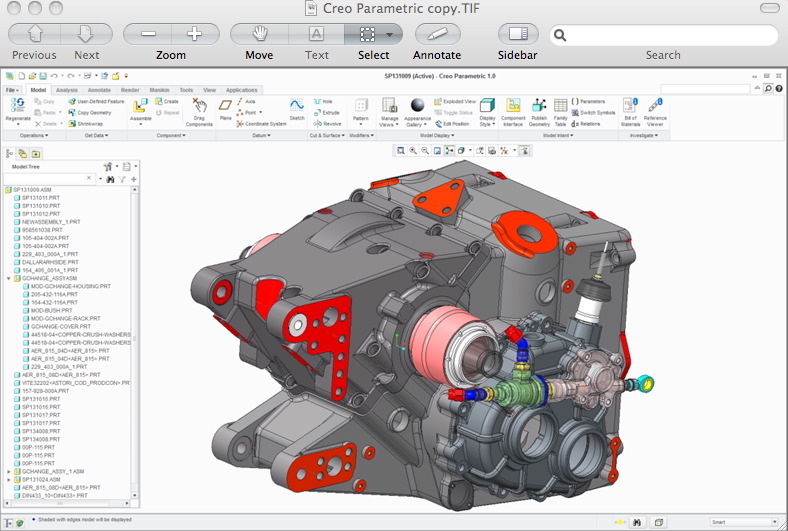 The resulting surface geometry can be operated on directly using Creo Parametric surface commands or converted directly to a solid and manipulated with traditional Creo Parametric commands. With Freestyle free and relatively easy to learn, we recommend that users who do any industrial design begin using Freestyle right away. 29 Oct 2010: Yesterday, in downtown Boston and worldwide via the Internet, PTC announced Project Lightning, now renamed Creo. CEO and President Jim Heppelmann, noted that Creo is the Latin root of the word for creativity. The announcement lived up to its name. I was present at the live event in Boston. This gave me an opportunity to follow up with some questions in person. By now you have probably seen or read about the announcement. If not, you can see more at http://creo.ptc.com. I want to give you my thoughts and observations on the product and how it might change the CAD game. First I was surprised. I had expected a much more mundane announcement. What PTC did was fundamentally change the direction of their approach to CAD. To put it simply, PTC is marrying its Pro/E, CoCreate, and ProductView technologies, mixed in with a connection to Windchill for managing complex BOM assembly configurations. It turns out the ProductView is a key element to the AnyData strategy. Similar to JT, ProductView enables storing summary and detailed model data from 130 or so data formats. This will form the basis of the common data model mentioned in passing by Jim Heppelmann at an afternoon press conference. AnyRole Apps approaches the problem of CAD being too difficult to use and train, except for power users. 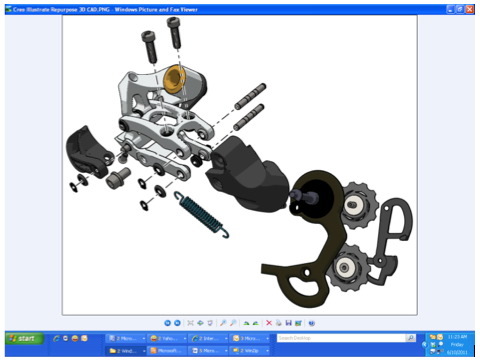 For most other users the power of a CAD system with its myriad of menus and options is too daunting even for less complex usage. AnyRole Apps approaches the problem by implementing a wide variety of applications, each with a simple UI, designed only for specific user roles. AnyRole Apps are expected to come from PTC as well as its partner ecosystem. This concept generated a variety of questions. What might the apps cost? Will they be customizable by customers? If similar in concept to iPhone apps, what developer systems will PTC offer? Will there be an app store? Three partners at the announcement were able to answer some of the integration questions. 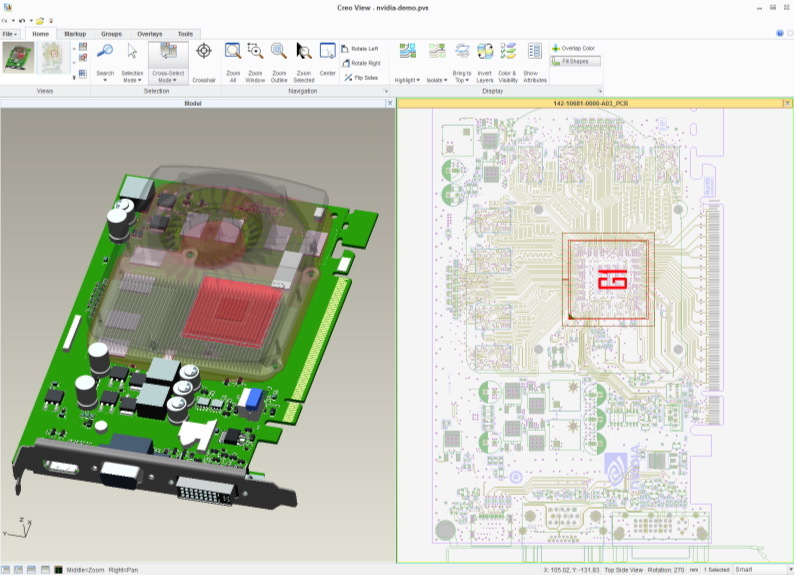 Luxion, Simpoe and Vistagy, all third party partners, were able to completely integrate their applications within Creo and demonstrate it today, after only a three-week lead-time. I had a chance to view the Simpoe plastic mold flow application. 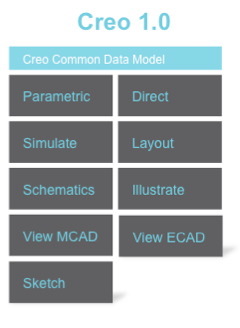 It operated totally within the Creo UI and directly read and wrote to a common data model. Options windows opened to allow input to the application. Vistagy claimed s similar, easy to integrate experience. 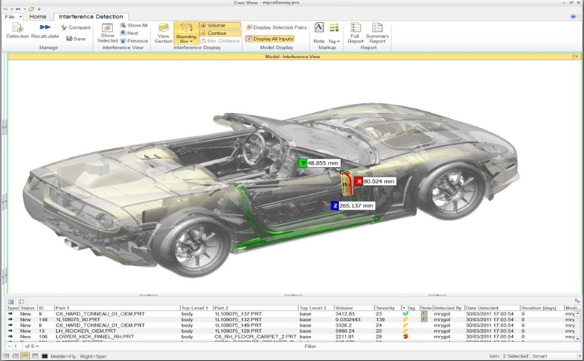 AnyMode Modeling ties together parametric (history based), direct 3D modeling and 2D. The concept is to allow designing in either mode, or a mixed mode. Designs can “float back and forth with no loss of design intent or flexibility.” The difficulty is usually in working with direct models in parametric mode. The technology for AnyMode Modeling was not discussed and I was left with the impression that most PTCers I spoke with either did not know any details about how worked or were purposely vague about it. 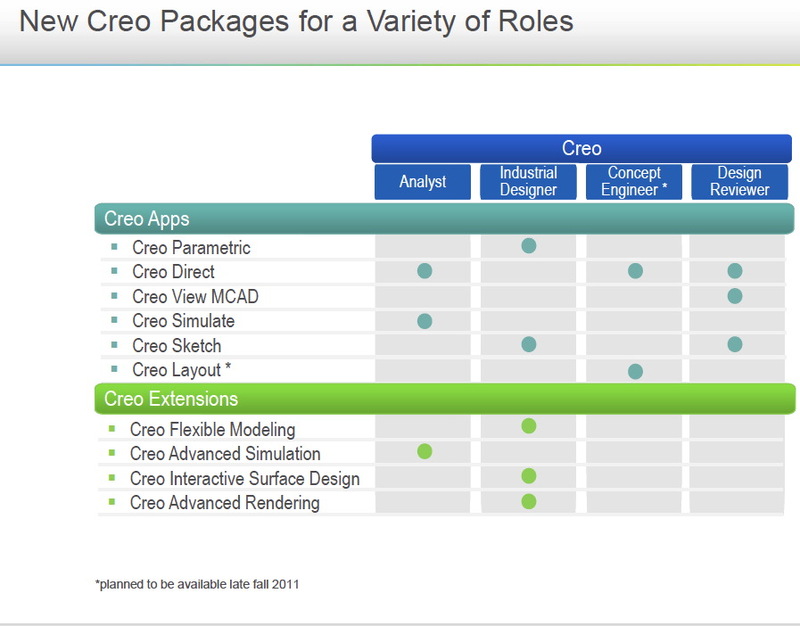 I questioned a few about how similar it might be to Autodesk Fusion which converts direct model changes to parametric models and the answer I typically got was: Creo’s direct-parametric modeling was more robust. AnyData Adoption recognizes the proliferation and need for data from multiple CAD systems. PTC describes that as allowing all types of data to flow in. 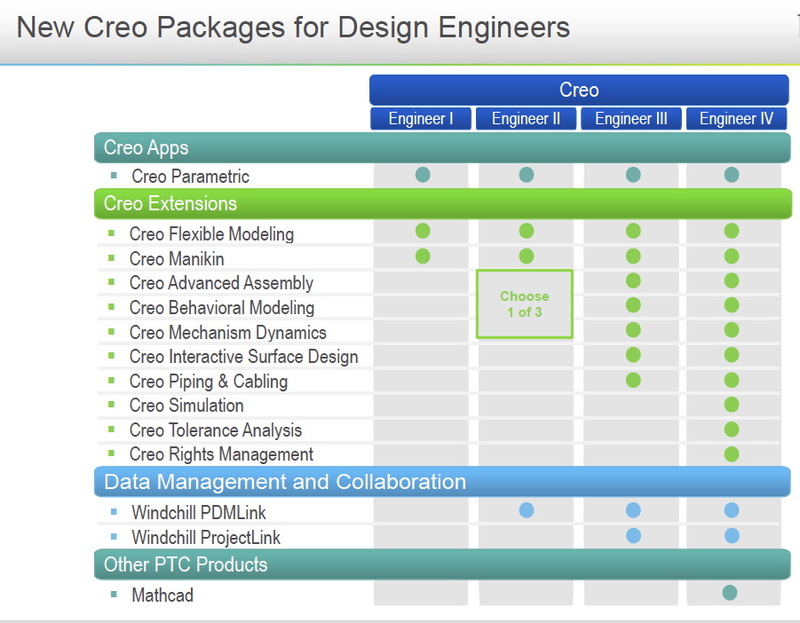 More than just understanding non-native CAD data, Creo “adopts” the data and treats it as a legitimate family member. The data is treated as much more than an unintelligent blob as most systems do. 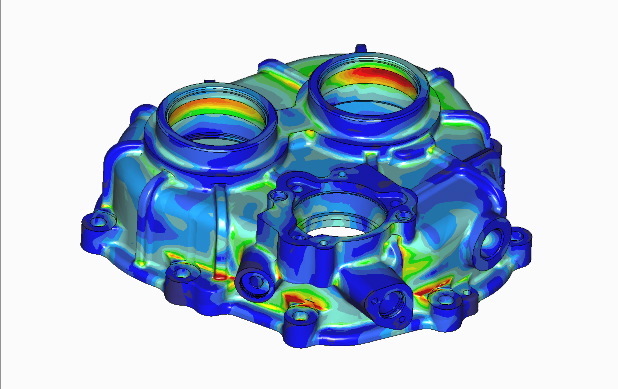 Using the beauty of direct modeling Creo can change the non-native data by recognizing and allowing alterations to its inherent geometry constructs. Modifications can be exported to the originating system. 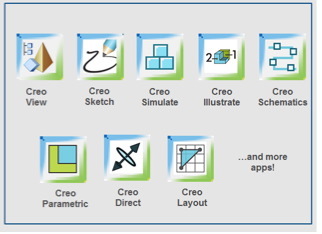 Originating system changes can be brought back into Creo, although it is not clear how this would work since Creo may have already modified the geometry. AnyBOM Assembly optionally incorporates Windchill to allow serial number configurations. This should make the hardware vendors happy because this usually generates massive amounts of storage needs. PTC expects to ship Version 1.0 in the Summer of 2011 and Version 2.0 in the Fall, preceded by a Beta version in the Spring of 2011.